What lies at the heart of a thriving legal department? What essential skills are needed to support the legal team increase their impact and influence? What distinguishes great in-house counsel from good in-house counsel? 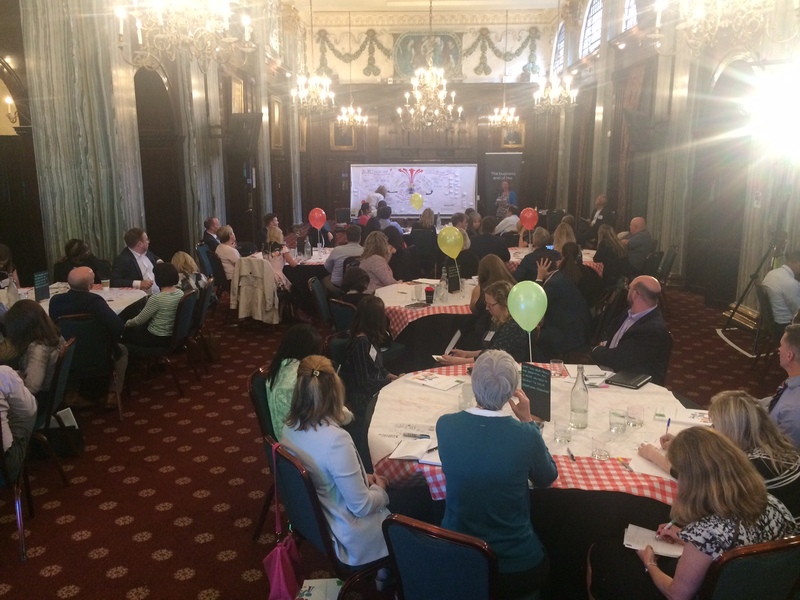 At the 2018 Annual Law Society In-house Division Conference, over 65 senior counsel gathered to grapple with these questions during a World Café style event, facilitated by Sophie Gould, Head of In-house, LexisNexis. It is often said that talent is an organisation’s most valuable and reliable asset – especially during times of uncertainty. This truism is clearly seen with the topic of attracting and retaining the right people cited by many senior counsel as top of their agenda. But what makes a talented – and successful – in-house lawyer? The introduction of the new SRA competency regime points to the profession placing added emphasis on driving as core strengths a host of skills in addition to, and outside of, being experts at the application of law. The continued persistence of a culture of ‘do more with less’ demands a pursuance of operational excellence and need to demonstrate the value of the legal department in more commercial terms. Of significance is the emergence of new / dual roles for in-house counsel such as legal operations which demand new skill sets. A fast-growing trend of emerging technologies and legal start-ups are also both playing a significant role in how in-house counsel can work smarter and unprecedented choice in how legal teams can be structured differently. Last but by no means least, the influence and strategic impact of the legal department continues to grow with legal teams working towards creating value alongside mitigating risk. Uncertain times and increasing regulation are further raising the exposure of the legal team giving more in-house counsel a powerful voice within their organisation. So how to stand out from the crowd and exploit the opportunities presented? Over a series of two articles, we look at five key themes that stood out from the conference. “Take responsibility for your personal development”. When it came to the best ways to develop and accelerate your career, this point was repeatedly heard among participants. On a practical level tips included to know your strengths, diversify your skills, the importance of a development framework, being focused on growing as a person – not just a lawyer, the importance of continual learning and taking advantage of training and networking events from law firms, suppliers and organisations and the value of utilising a buddy system or getting a mentor. Sage advice was also “to not fear failure” and “invest in your personal brand”. The role of others in helping you stand out from the crowd was another resounding theme. Network, network, network. With senior lawyers both internally and externally. Don’t be shy! Leverage LinkedIn. Also, reflect on the networks you develop. For example, consider ‘sector’ support networks and attend industry events. Relationship management was seen to be critical in one’s ability to grow and stand out as an exceptional in-house lawyer. Key hints and tips shared were to show your human side - don’t always feel that as a lawyer you must be the expert, demonstrate empathy, endeavour to meet people face to face rather than reverting to email and remember “honesty is key”. Part 2 of this series looks at the final three key themes identified when discussing what differentiates the great from the good in terms of successful in-house counsel.